Where the standard Fiat 500 minicar is all about "aaaaahhhhh", the 2012 Fiat 500 Abarth we revealed a few weeks back is much more about "GRRRRRRRRRR". 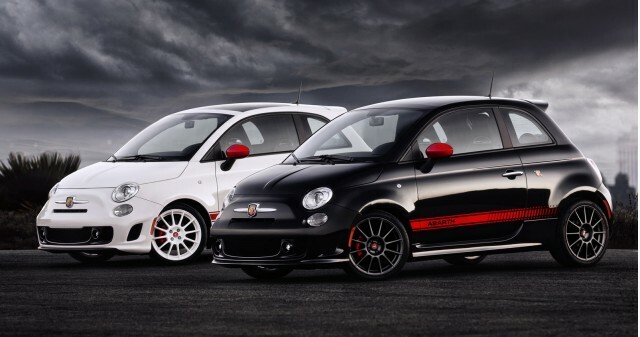 This time the 500 has shed all its cutesy looks and gained a wide stance and aggressive bodykit. The style is in keeping with a long history of Abarth-tuned Fiats that stretches back to Karl Alberto "Carlo" Abarth's tiny but feisty Fiat-engined coupes back in the 1960s. 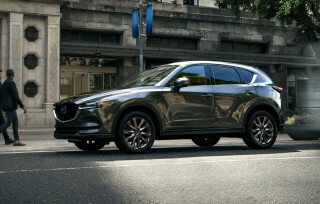 The new car is making its debut at the 2011 L.A. Auto Show, which starts today. With a 1.4-liter MultiAir turbocharged engine it's sure to be a little rocket. Fiat USA hasn't released official power figures for it yet but the European model makes 135-horsepower and 151 lb-ft of torque. That's enough for 60 mph to arrive in 7.6 seconds and a top speed of 128 mph. Even more powerful EsseEsse "SS" models are available in Europe with as much as 180-horsepower, so high performance fans in the U.S. will be hoping for the same. European versions also manage 35.8 mpg combined, though expect EPA numbers to be around 10-15 percent lower. Fiat says the 500 Abarth is designed for "track-day enthusiasts and driving purists who want the ultimate high-performance small car with the pedigree of an exclusive Italian exotic". We see it as a great way to get fun performance without sacrificing too much economy - so it's sure to appeal to a wide range of people.